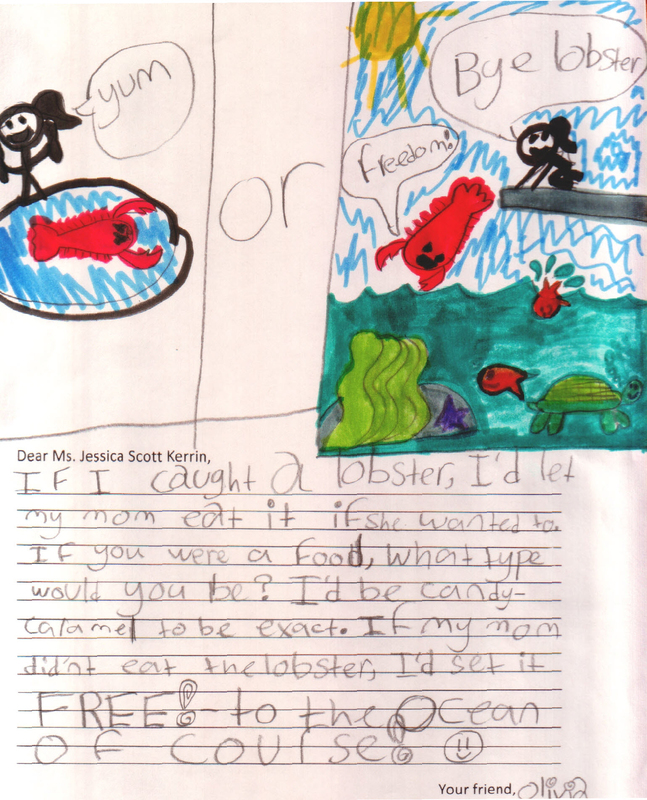 I love your drawing where you’d either a) eat the giant lobster or b) return it to the sea. So many life choices are like that, aren’t they? That’s what great stories are all about. To answer your question, if I were a food, what type would I be, I would have to say: a turkey dinner with all the fixings. That is my answer because whenever I’m eating a turkey dinner, I’m surrounded by family and friends.